The Captives lines are streamlined and clean. Along with fit and function, aesthetic is essential component for active urban living. 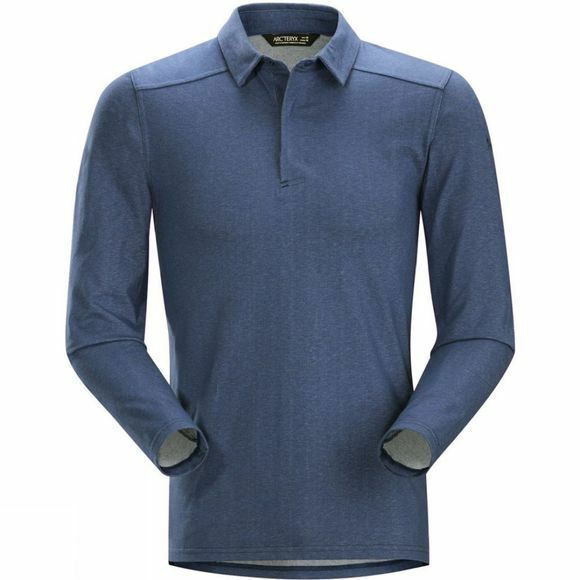 Made from Arc'teryx DryTech cotton/polyester blend fabric, the Captive polo is geared for active urban commuting, adventure travel and summer heat. Lightweight, stretchy and air permeable, DryTech delivers cottons cool, airy comfort and polyester's moisture management and quick drying performance. Ergonomic freedom is provided by the Captive Polo's gusseted underarms.